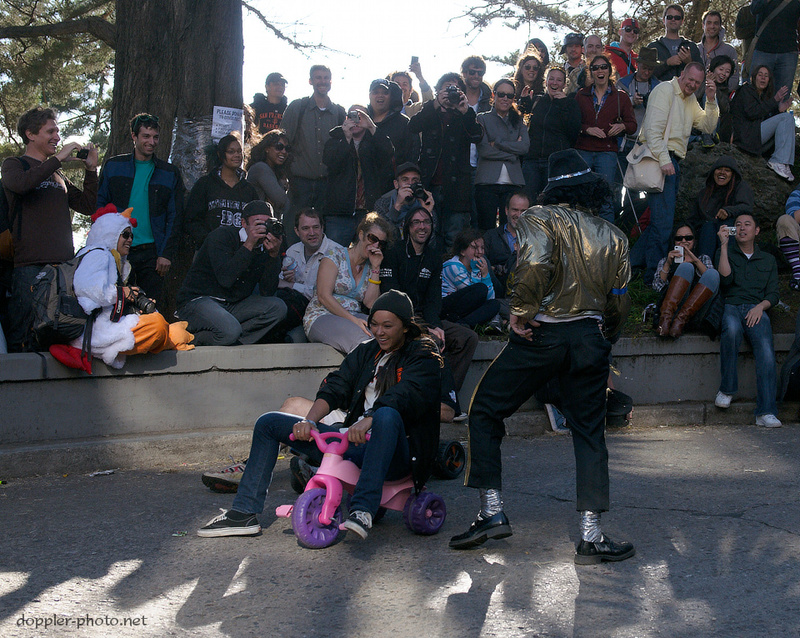 This year's BYOBW featured a cameo by the King of Pop himself. He was probably my favorite character of the bunch, since he'd periodically stop and whip out some of the MJ's own dance moves in traffic. 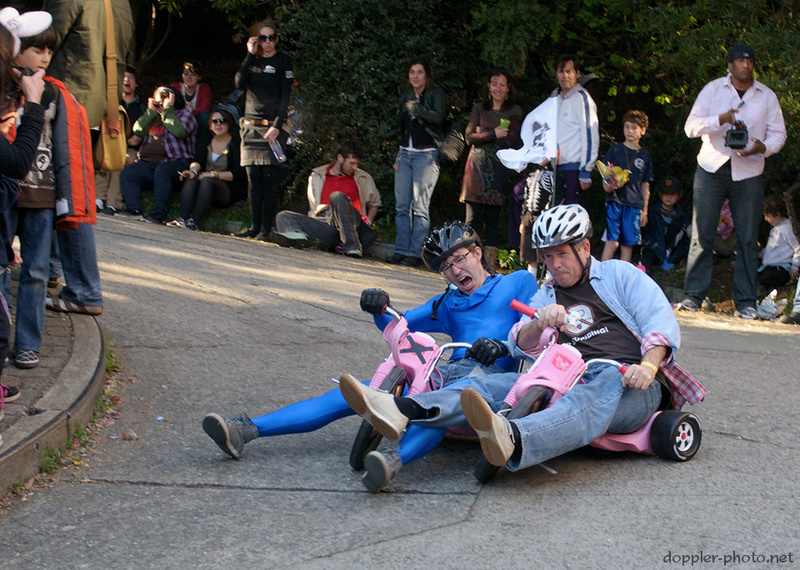 Two folks also brought tandem drifting to Big Wheels. 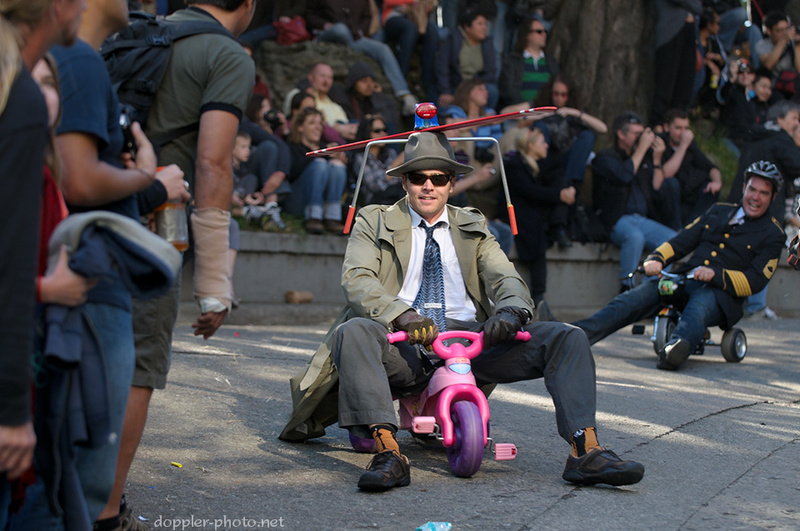 If BYOBW has been missing anything, it's this (ok, maybe not). Either way, the blue guy definitely wins on style points. And finally, a veritable blast from the past. Inspector Gadget showed up, but even though he was better equipped, MJ was the one who took flight during one of the impromptu dance sessions. Again, check out the rest of the images here. Enjoy!